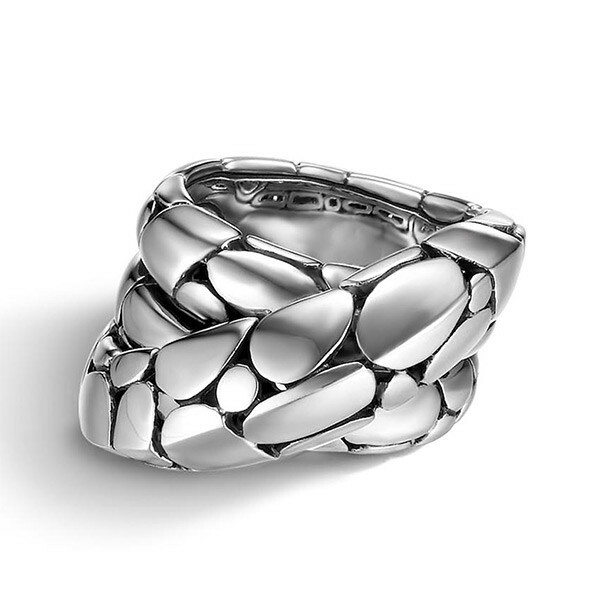 This gorgeous ring is from the John Hardy Kali collection. 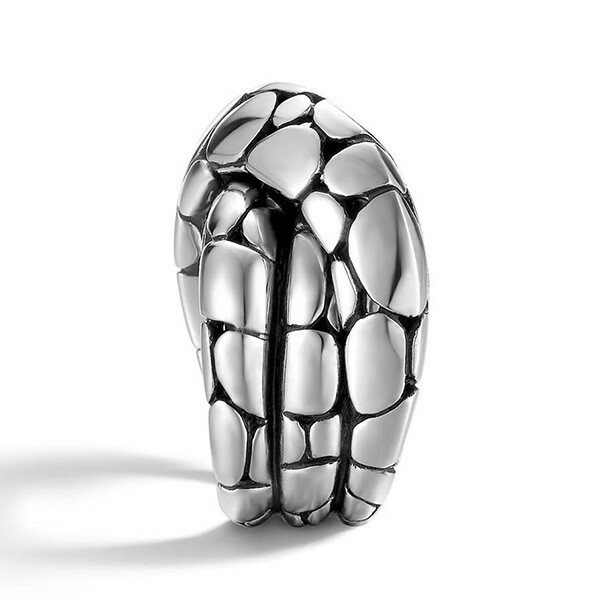 This sterling silver ring has the river stone motif of the Kali collection and overlaps to create a twist in the sterling silver. 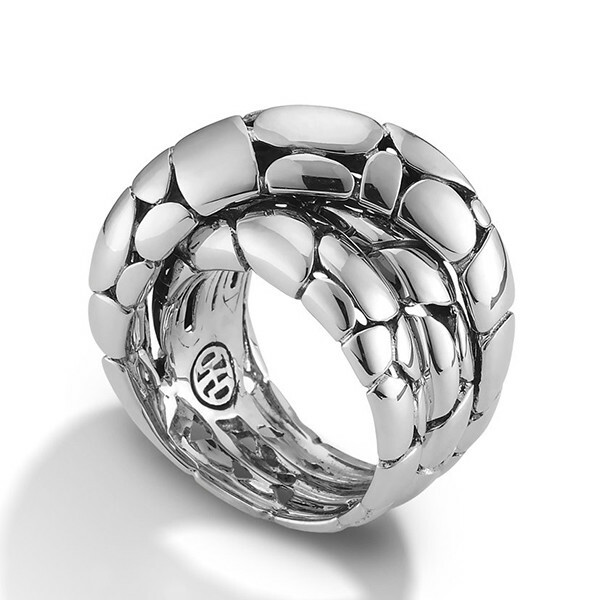 The darkened detail between the pattern allows the sterling silver to pop with brilliance. Pair this ring with another Kali piece for a savvy look!